Just because a school is labeled “high-performing” doesn’t mean it’s teaching the full range of skills needed for successful adulthood. But there are islands of excellence where teachers are doing just that. What skills do you need to be a successful adult? It turns out there are roughly 25, if you review the relevant literature. Which of these skills do schools regularly teach? Just three, as we found in a recent study (Szczesiul, Nehring, & Carey, 2015). And that was in nine of the highest-rated secondary schools in Massachusetts. Although we’ve known for decades, based on research, that classrooms tend to focus on lower-level cognitive skills, we were shocked that this pattern remains so strong, even in schools considered among the very best. Even in the more promising schools in our sample, most teachers taught the same three skills: application, recall, and (sometimes) analysis. But we also discovered that a significant minority of excellent teachers taught nearly the full range of skills and that their classes spanned subjects, grade levels, and academic tracks. We believe the system can learn a great deal from what these teachers do in their classrooms every day. The term 21st-century skills came into wide circulation after the release of a 1991 U.S. Department of Labor report, What Work Requires of Schools (SCANS Commission, 1991). The report called on schools to teach a deeper and broader range of skills in response to “the globalization of commerce and industry and the explosive growth of technology on the job” (p. xv). Nowadays, the term is widely used and has become a staple in education policy discussion. But the term is a misnomer, as we discovered when we reviewed the literature. Except for a few references to specific technologies, 21st-century skills are good for all centuries. They comprise the competencies needed for work, civic engagement, and personal fulfillment. In short, they are what adults need to be successful. We synthesized the literature (Szczesiul, Nehring, & Carey, 2015) and created our own taxonomy, which divides skills into three categories — cognitive, interpersonal, and intrapersonal — and draws on the emerging concept of deeper learning (Pellegrino & Hilton, 2012). We call it the Taxonomy of Skills for Grownups (see Figure 1). In this taxonomy, cognitive refers to skills traditionally regarded as the intellectual domain of education — thinking skills, codified in Benjamin Bloom’s seminal taxonomy. Interpersonal refers to skills on which we draw to foster effective interactions with other people. (Though widely valued in education informally, they have been historically marginalized by formal assessment.) Intrapersonal refers to skills required to successfully manage one’s own learning. Together, these three domains comprise the range and depth of skills we draw on daily to successfully navigate the adult world. Taxonomy in hand, we set out to find which of these skills get taught in schools. Our curiosity was driven in part by recent studies suggesting that test-based accountability has resulted in a narrowing of instruction, particularly in schools serving disadvantaged communities. So we decided to look at secondary schools serving disadvantaged communities in our home state, Massachusetts, focusing, in particular, on those that reliably produce high scores on state tests. According to system measures, these would be the best schools. And because Massachusetts regularly ranks high in national and international comparisons, these schools would be — according to the system — the best of the best. As a first step, we invited all teachers in nine high-performing schools to submit instructional materials from a single week. We received 155 instructional items (classroom worksheets, homework assignments, project descriptions, rubrics, quizzes, tests, and so on) from 73 classrooms. 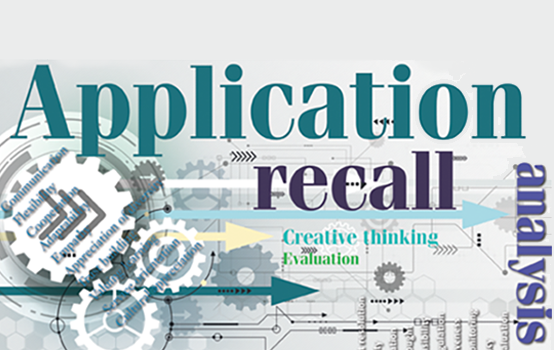 Analyzing the nearly 2,000 instructional tasks embedded in these materials, we found that recall and application topped the list, with analysis a distant third and only occasional demands for evaluation and creative thinking — altogether a grim finding. The picture became more disturbing when we looked at the interpersonal and intrapersonal domains — at skills like communication and trust building or adaptability and self-regulation — where task demand for a student in any of these top-performing schools was either rare or wholly absent from a full week of classroom instruction. To better understand the dynamics behind these concerning patterns, we decided to take a deeper dive, looking more closely at three schools that appeared to have a pronounced focus on 21st-century skills. We observed 22 classrooms, interviewed school leaders, and spoke with teachers in focus groups. Classroom observations revealed more of the same — that is, for most classes, an instructional focus on application, recall, and, occasionally, analysis, with every other skill listed in our taxonomy either rarely addressed or wholly absent. Why, we asked, did schools that talked a good line about 21st-century skills continue to not teach them? In focus groups, teachers often referred to higher-level thinking, critical thinking, or 21st-century skills; in class, they often said to students, “I’m pushing you here,” “I’m demanding more now.” There was clearly plenty of language around academic demand. The question was, What was the nature of the demand? To that end, we looked closely at tasks assigned to students. Comparing all classes where greater intellectual demand appeared to be on the mind of the teacher, we found that it took three forms, which we call more stuff, more steps, and deeper learning. Only one of these, as the names imply, fostered learning of skills across our taxonomy. In some classes, teachers presented students with complex content. However, the tasks assigned to students did not require complex thought. Although the content was complex, the tasks were simple, mostly requiring no deeper skills than recall or application. This was apparent, for example, in an Advanced Placement U.S. government class for 11th and 12th graders. On the day we observed, the teacher was reviewing material from a textbook chapter. The lesson consisted mainly of the teacher stating terms, asking students recall-level questions about definitions and asking questions that called on students to apply the terms. To be successful in this class, students needed to be familiar with a number of terms, such as demographics, party identification, Democrat, Republican, blue state, red state, and purple state. They also had to be able to apply the terms to simple problems — for example, naming factors that predicted a person’s party affiliation. Although the required vocabulary grew daily and was quite extensive, no deeper learning demands were made of the students during this lesson. In other classes we observed, the teacher assigned tasks that required complex instructions and procedures but little complex thought. In an elective history class for 11th and 12th graders, for example, the teacher was transitioning students to the next chapter in a textbook. Delivering the content at a blistering pace, the teacher gave a series of instructions that referred to chapter classifications, videos, articles, learning objectives, learning targets, learning outcomes, essential question, guiding question, a project, online quizzes, self-pacing, corrections, and a required 100% on all quizzes. A student paying close attention would find the number and complexity of these steps to be daunting. (We did). But when the class turned to reviewing the studied material, task demand was strictly at the recall level. In some classes, the tasks assigned to students required skills associated with deeper learning — that is, the full range of skills needed for successful adulthood. For example, in a 10th-grade honors humanities class, students were beginning a new unit. Having just completed a unit on Western imperialism in Africa, they were turning to a study of Western imperialism in China. In the class we observed, students were tasked with inventing questions to guide their study. The teacher led students through brainstorming possible questions based on what they wondered about China at that time, then asked them to narrow their list of questions based on what they felt was most important, and then helped them shape their questions to ensure they were intellectually stimulating and open-ended. Students asked, for example, “Why did countries want to imperialize China?” “How did they [the Chinese] succumb to imperialism?” “How was Chinese culture disrupted [due to imperialism]?” Such questions are both analytical and evaluative (since the teacher planned next for the students to debate the merits of their differing answers). Additionally, the collaborative way that students generated their questions, coached by their teacher, fostered interpersonal skills (communication, cooperation, negotiation, assertiveness, and advocacy). Moreover, the norms that this teacher enforced throughout the individual, small group, and whole class activities fostered intrapersonal skills such as self-monitoring and self-evaluation. That is, in this class and others like it, student tasks ranged across all three domains of our taxonomy. Of the 22 classrooms we observed in our study, seven stood out for the depth and breadth of intellectual demand. We took an even closer look at these classes, and several themes emerged. It was the teacher, not the subject. Classes spanned subjects, grade levels, ability levels, and schools. This suggests that intellectual demand is not the result of the subject taught, the grade level, the academic track, or the school. That leaves the teacher. Teachers focused on disciplinary knowledge. Teachers wove skill instruction across all three domains of our taxonomy with development of disciplinary knowledge. In these classes, students were learning fundamental disciplinary knowledge for math, social studies, science, and so on; however, they were simultaneously benefiting from instruction in important skills. This lays to rest the contention that a focus on skills denies students access to disciplinary knowledge. Likewise, a focus on disciplinary knowledge does not have to crowd out attention to high-level skills. The back-to-basics rallying cry is misguided, and the skills-versus-content debate can finally be set aside. Teachers were attuned to the social-emotional dynamics of their students. Teachers addressed social-emotional dynamics and strived to create a harmonious environment, demonstrating an understanding that doing so is a prerequisite to academic learning. Researchers have found that school connectedness is crucial to academic achievement and that relationships matter to student success (Klem & Connell, 2004). What these teachers show us is that the foundation of connectedness is not a program, class, or counselor. Rather, teachers weave it into the everyday fabric of classroom life. Excellent teachers pay attention not only to students’ academic qualities but also to their social and emotional lives in a fluid, continuous process. Teachers adapted their teaching to the moment. Teachers consistently matched teaching moves to the dynamic moment in the classroom in ways that fostered social-emotional harmony and advanced the academic lesson. These teachers showed that having good radar for social-emotional dynamics is not enough. As a teacher, you have to act. These teachers continuously adjusted their teaching in subtle ways as they sensed changes in tone and climate. For example, one teacher responded in a remarkable way to an unanticipated classroom event. The teacher was introducing the lesson to the whole class just after the starting bell, when a student arrived late to class. While continuing to lead instruction, she gestured for the student to sit at an available desk, and, noting that the student appeared chilled, removed her own scarf and wrapped it affectionately around the student’s neck as the student took her seat. All while continuing with the lesson. Teachers had a wide repertoire of effective moves. Teachers deployed a variety of moves with stunning fluency and density. It was nearly impossible during the analysis to link a single move to a single purpose. One move dissolved into the next as multiple purposes were served from moment to moment. Watching any of these teachers was like watching a virtuoso soloist perform with a symphony orchestra. The expert work of these teachers demonstrates that to teach well — that is, to teach a deep and broad range of skills while also addressing disciplinary knowledge — requires intelligence and years of practice. It also requires an ability to pay attention to many subtle variables in a complex environment (what we call radar) and an ability to call on a deep repertoire of instructional moves (what we call improvisation). Instruction was tied to complex assessments. These assessments were often designed by teachers and included some type of performance or demonstration. They stood in contrast to the more routine test-based assessments or occasional, less demanding projects in other classrooms as well as to the state-required accountability instruments. As long as on-demand pencil-and-paper tests are the norm in schools, the depth and range of skills taught to students will remain severely limited. The aphorism “assessment drives instruction” should be at the forefront of educational planning, from the classroom to the U.S. Department of Education. Teachers built strong relationships with students. Teachers exhibited a powerful desire to connect relationally with students, both individually and collectively, and displayed a nearly palpable joy in doing so. The sort of connectedness displayed by these teachers goes well beyond any clinical understanding. These relationships benefited students as well as teachers. Because of mutual relationship building, the teachers became more engaged. They clearly felt they had a stake in the successful growth of their students — not just as scholars, but as people. Most studies of high performance look for teachers and schools that produce reliably high test scores and then catalog their attributes. But test scores are associated with a limited range of skills, which means we know the kinds of schools and classrooms that can knock the socks off the state test. But what if we want to know how to teach the full range and depth of skills needed for successful adulthood? By and large, the vast corpus of existing research has not much to say. Our foray into classrooms where deeper learning takes place gives us a beginning sense of what excellence looks like. For one thing, excellence requires highly skilled teachers with finely tuned radar and improvisational ability. For another, excellence requires assessment practices worthy of the range and depth of skills taught. Our current sorry state of high-stakes testing is doing irreparable harm to a generation of rising citizens and workers. Finally, good teaching is about caring relationships, a parental affection that gives and receives, that honors the fundamentally human nature of our work as educators. In an era of big data, we would do well to remember that all our work is ultimately about a single child. At all points of entry into the system — from the legislature to the Department of Education, from professional development to schools of education, from the classroom to the district office — we need to reimagine excellence and ask ourselves what a system looks like when it fosters excellence redefined in all schools. Klem, A.M. & Connell, J.P. (2004). Relationships matter: Linking teacher support to student engagement and achievement. Journal of School Health, 74 (7), 262-273. Pellegrino, J. & Hilton, M. (2012). Education for life and work: Developing transferable knowledge and skill in the 21st century. Washington, DC: National Academies Press. SCANS Commission. (1991). What work requires of schools: A SCANS report for America 2000. Washington, DC: U.S. Department of Labor, Secretary’s Commission on Achieving Necessary Skills. Szczesiul, S., Nehring, J., & Carey, T. (2015). Academic task demand in the 21st-century, high-stakes-accountability school: Mapping the journey from poor [to fair to good to great] to excellent? Leadership and Policy in Schools, 14 (4), 460-489. Originally published in April 2017 Phi Delta Kappan 98 (7), 38-42. © 2017 Phi Delta Kappa International. All rights reserved. JAMES NEHRING (james_nehring@uml.edu, @nehringjames) is an associate professor, Graduate School of Education, University of Massachusetts, Lowell, Mass. MEGIN CHARNER-LAIRD is an assistant professor of education, Salem State University, Salem, Mass. STACY SZCZESIUL is an associate professor, Graduate School of Education, University of Massachusetts, Lowell, Mass. This is such an important and clear headed assimilation of the data in order to illustrate the dangerous lie that many policy makers and school choice advocates proffer: achieving recall on a test is not equivalent to high performance. I’d love to see this data used to expose the ways in which “high performing” charters really victimize (and I don’t think this too strong a word) students in their classrooms and exploit parents who live in fear that their kids won’t get into college, won’t be “successful” in the world, and won’t, therefore be “happy.” Teachers building strong relationships with students is something that is often last on the list of priorities for administrators who make and enforce policy, but this piece is perhaps the most important piece of the education puzzle. I’ve often said, somewhat stridently, that it doesn’t matter what teachers teach–the content is relatively irrelevant–as long as the teacher engages and interests his/her students. That’s the single most important thing. Deep learning can only take place when there is this connection–this level of trust, and, frankly, the ability to individuate instruction based on the particular culture of a classroom or the learning style of a student. Schools don’t need more tech. They need highly skilled and well paid teachers. That’s all. Terrific article, so much to think about as an educator. A great teacher stays with a student forever! This is such an exceptional article that points us toward a broader look at what it means for teachers and students to be successful in schools. The smallest interactions within our relationships trumps big data every time. Thank you for pushing the conversation in a direction that we need to go.